Sophisticated production procedures achieve the exact scaling. The refrigerated Chambers are made of modular construction panels a homogeneous cycloizopentánnal cross-linked poliuretánnal is foamed instead. The exact scale of the impressive hűtőkamráink, the rugged construction and a high degree of stability. The sandwich construction, as well as the összeépítésnél to the most eccentric kapcsolóelemeknek used due to heat transfer coefficient values, and can be easily and quickly assembled and can be extended in the future, which is a valuable asset. The high endurance and stability on the basis of a constructive interface binding and a stainless steel bolt system of labyrinth eccentric locking mechanism. The outer casing is high-temperature electrical panels of sheet metal, which we burn 180 ° C in an eco-friendly polyester coating process, in such a way that even an average 70-micron thick cut surfaces of the coating. High technical and aesthetic requirements of our clients for 1.4301 (V2A) offers outstanding durability as steel austenites corrosion, by default, the floor tracks inventory, demand-side walls. The modular structure has proven constructive systems ensures the optimal insulation. To avoid the lock-ups and the vapors of precipitation. When the cold room, the optional-door switch turns off the cooling unit fan (only the freezer-stores), so that the excess heat is used to prevent withdrawal and saving energy, which is also from the cost savings, in addition to maximize the cooling systems with high performance and low energy consumption. Easily mounted on top of the refrigerated Chambers, so the cold room is in an optimal way, small footprint, electrical regulations. You can use network connectivity to multiple cooling unit. 700 W cooling capacity 2600-the fridge and freezer containers, the water helps. Refrigerant R404. The cooler is manufactured in compliance with European Union standards. CE certification. Traditional cold room refrigeration units or assembled in advance, refrigerated rooms are suitable for the installation. the evaporator and the aggregate unit max. 15 m from the separately installable, electrical regulations. 2750 W cooling capacity 900-the fridge and freezer containers. Or hot gas defrost, electric or 3 ° C heat range. Refrigerant R134 (R404 A freezer-storage enclosures). The cooler is manufactured in compliance with European Union standards. CE certification. Solid torsion-free steel frame, silver-colored stove-varnished brand or entirely made of stainless steel. 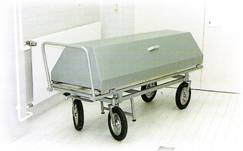 The burden is always on the move with a roller tray overlay, so that in all cases sharing workloads on the cadaver. The corpse of the breast is an important, taking into account the safety and health requirements, after careful analysis of the hazards designed and constructed; as regards the remaining risks which occur and, of these, danger decals warn. Autopsy table with a column in the middle. stainless steel 1.4301 cokers. Hot and cold water, shower holder cover lens, protected against splashing water, 220-volt electrical outlets, electrical equipment (e.g. : skull saw, etc.). Maintenance door part that rolls, the devices are made of hard chrome copper. The shower hose 2 fm. Easy to clean the bottom flange, 4 height adjustable legs. Polyurethane rigid foam insulation noise reduction on the table top and bottom section, anhydrous. Seamless integrated with main body, bracket, profile, only rounded corners, with a negative slant towards the discharge by squeezing. Prominent residual stand. Body made of stainless steel 1.4301 cokers table. Hygienic cutting surface on the edge of the hole and the autopsy table planted. Drip tray under the cutting surface drainage. Instrument holder tray punched and pull-out (7008 50x500x320 mm), which is the autopsy table at the edge of sliding. Neck lifting: stainless steel, semicircular, rubber pads. White powder painted steel sheet, anodized or stainless steel sheet 1.4301 cokers. 3 or 6 daylight illumination with tax. The light on the surface of the table top is evenly scattered, the Parabolic grid. To set the rotation of the ventilation openings. Simply replace the lamps. The ventilation element the Central ventilation system through the marking of the air from the supply air can be absorbed, and some can be as laminar air flow foreclosure openings through the autopsy table surface of the blow. The resulting stable, strong air flow shall ensure that the relative small quantities of air, so the emitted energy costs are very low. Energy saving and reduced noise. The desktop, seamlessly deep-drawing of the superstructure as well as swimming pool made of stainless steel 1.4301 cokers. The smell and the extraction of a hazardous substance on the surface of the desk, three-part stainless perforated, removable disk through the institution's central exhaust system is bound to happen. The most optimal option 4 screw extraction from formalin. The pool is controlled by built-in manually drain faucet with thermostatic mixer and appliance, two-stage pull-out handspray. 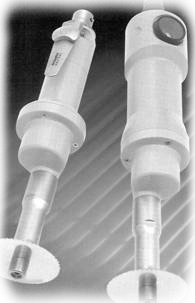 To start specially designed lamp-illuminated Magnifier-fixture is wired. Clipboard, black point and measuring tape. Formalin nozzle. Stainless steel, fully automatic operation. Weight display is easy to read and exatly solvable. Stainless steel, fully automatic operation. Weight display is easy to read and exactly solvable. 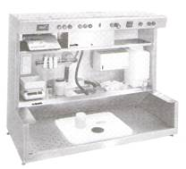 The NS3 arrive De Soutter Medical model of a low-voltage autopsy, autopsy saws designed for use with IP 67 fully insulated model that can be cleaned thoroughly after every use disinfect. The CNS or more powerful suction removes the slash from the bone at the site of debris and steam vapor. These tiny particles, chips the extractor through the tube into the dust collector bag. The maximum health and safety rules, saw light. Protection class against electric shock: 1. Allot. Grounded.